This week at Olancho Aid, we are highlighting Carlos Gonzales, who has been with the Foundation for ten years as both a student and a teacher. We recognize him today for his hard work and his dedication to his students' education. Thanks for all that you do, Mister Gonzales! I began working with the Foundation on August 16, 2011. I know a lot about the Foundation because I am an alumnus of Instituto Cardenal Rodriguez (IOCR), our Spanish language high school, thanks to a scholarship that I received in 2007 and 2008. 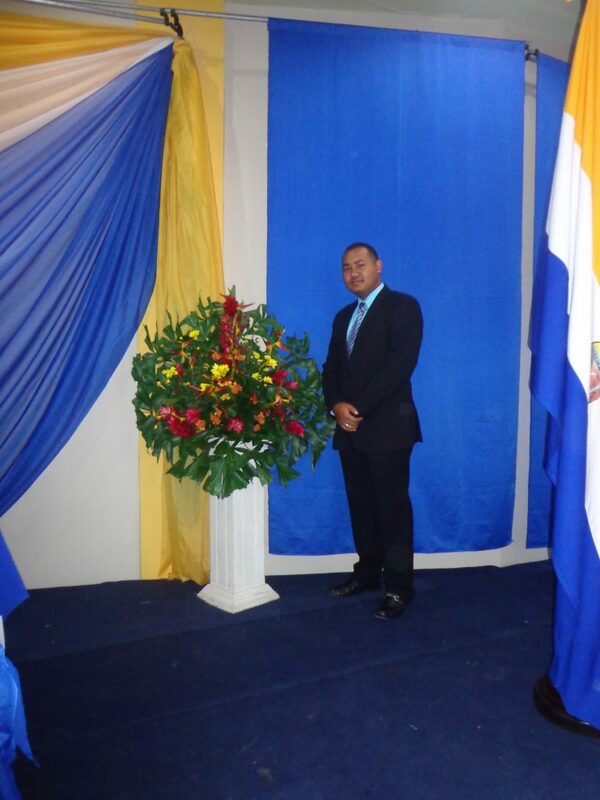 I am also an active member of the parochial community, which was why I applied to work in the religious department of Instituto Bilingue Santa Clara (IBSC), our bilingual high school. Right now I am an academic counselor and the religion, history, and economics teacher for tenth, eleventh, and twelfth grade. My favorite part is knowing that we have students with many differences and that I have to help them to find it within themselves to become better students, better friends, and better students. I can see their parents’ joy when they change their behavior and improve their grades as teenagers, even when others have rejected them. There are many, but one that I always remember is the recognition that I was given by Carlos Najera because I earned Employee of the Month of the entire Foundation. I believe it has only been given one time; I was the first, and I’m continuing my hard work by the grace of God. I do a lot of skits for the students and parents. It’s a little embarrassing, but it’s worth it because we all have fun.